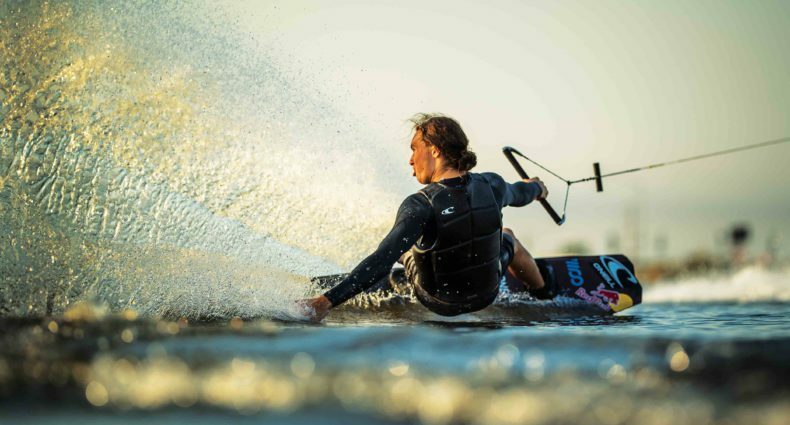 Quicky with Adam Fields from Alliance Wakeboard Magazine on Vimeo. We were able to make it with Adam FIelds while he was in town for a quick photo sesh. Man, that toe tail grab front was sick! aaaahhhh!! yeeaaah adam you never dissapoint! looking forward to everything you got planned this summer at gaston!! mister little jeans, found it, rescue song. Adam is a good dude! Oh yeah and a sick rider!!! Sick riding Adam always fun to watch!! one of the most under-rated riders in wakeboarding today. So sick. this guys done more for wakeboarding in the lives of families and kids than all other "pros" combined have done for their fans. literally the sickest riding on the east coast, hands down. he gave me a one hour lesson 3 years ago, teaching nothing but fundamentals and great boat driving techniques. adam youre a huge inspiration to more people than you can probably even dare to count, we all love you and everything you've done for such a creative activity. Kate, I didn't know your boy was such a badass! Such a cool video – makes me want to come hang out at the lake! Adam you are a great rider and friend. I love to see you name on the front page of Alliance because you deserve it! Keep pushing! Love this video! Love watching you ride. Mind blowing to see Adams consistency and dedication to the sport of wake boarding for the past 15 years. His style is a true inspiration, love to see him throw down behind a boat! Thank you so much everyone, for all the kind comments!! Wakeboarding is great and I plan to keep working hard to introduce the sport to more people. Thanks to Spencer and Alliance for allowing me the spotlight and for putting together such a sweet video! Song is awesome!! It was nice to read a string of comments with good vibes! Don't know Adam personally, but obviously a cool-cat. Great video too. Clean riding as always. Adam you are an inspiration for us all! Doozie Boat Lifts from The Boat Lift Store, Inc, proud to be a sponsor of Adam Fields and AF Wake. Been watching Adam wakeboarding for 15 years and still amazed at what he can do. Wow! Sweeeeet video! Adam's a great rider and an even better person. Wishing him much continued success! out treatments that they are not accredited to perform. Now that you recognize the dental tricks that you're dental practitioner might never tell you, go on and also utilize them to get a healthy and balanced and shiny collection of pearly whites!